We commonly say that we could learn more from our mistakes than from our successes. When we succeed in a project, we are just enjoying this success without asking too much questions about the reasons which contribute to this success. Maybe should we put some questions about the reasons of the success and what happen, if things could go on a wrong way? But most of the time we could only put questions to ourselfs about problems when they happen. By analyzing our mistakes, we could learn a lot of things; understand what happen in an environment, in a process. By learning from our mistake, we can develop new solutions, innovate and be more creative. 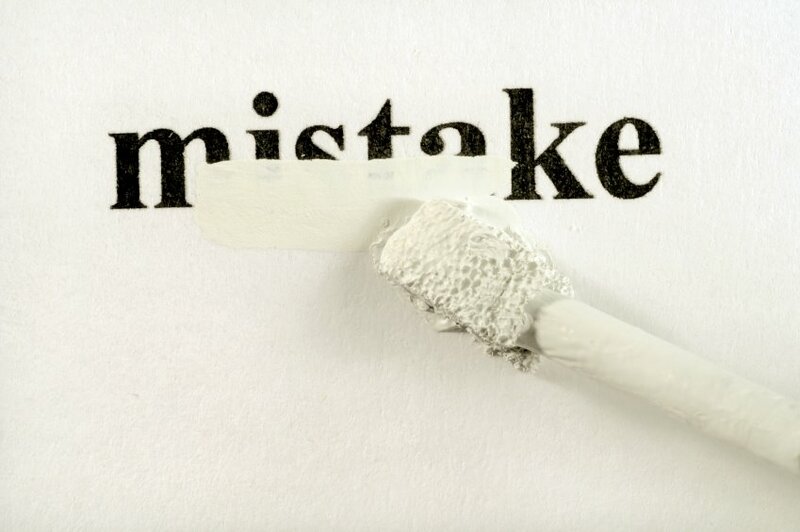 Does it mean that to make mistakes is a necessity in order to innovate, in order to increase our knowledge? In an interview, Luc de Brabandere, a Belgian consultant specialized in creativity is making reference to the philosopher Kant, to explain the necessity of our mistake by telling the following story: at a certain moment, a flying bird becomes to be tired because he has to struggle to the resistance of the wind. It should be easier for him if the air did not exist. But if the air did not exist, he could not fly. Kant explains by this that the air is the problem and the condition for the bird. By making reference to this, Luc de Brabandere wants to explain that often, we are scared to make mistakes because it could have negative impacts and people making mistakes could be blamed. Mistakes have negative impact on a short terms basis, but they are implying the necessity to put in place improvement processes, and to develop innovative and creative solutions. An innovation process includes testing steps and experiences. By analyzing the mistakes resulting from these steps, we have a better understanding of the processes, the mechanisms, and which brings us new elements to develop appropriated solutions. Does it mean that we have to encourage mistakes in order to move things forward? Do not forget that some inventions were created accidently. It is the case of Spencer Silver, a chemist working in the research and development department of the company 3m. In 1970, he was elaborating a solution of extra strong glue, but the results were not as expected. By separating two peaces of paper, he was noticing that the glue remained on one peace of paper or on the other. This invention seemed to be useless. Four years later, one of his colleagues got an idea. He was singing in a choral and was used to place bookmarks in his songs book. As the bookmarks were always falling, he putted Spencer’s glue on it. He noticed that he could remove the bookmarks without damaging the book pages. The Post-it was born! The question is not to encourage mistakes, but sometimes they are unavoidable. Mistakes could represent cost on short terms basis but benefits on a long terms basis. Mistakes are a necessity to go further but not an obligation.